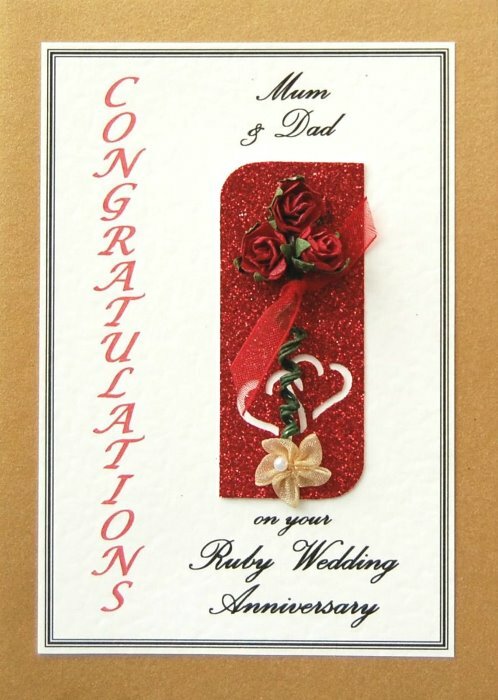 A beautiful range of Handmade Personalised Wedding Anniversary Cards. 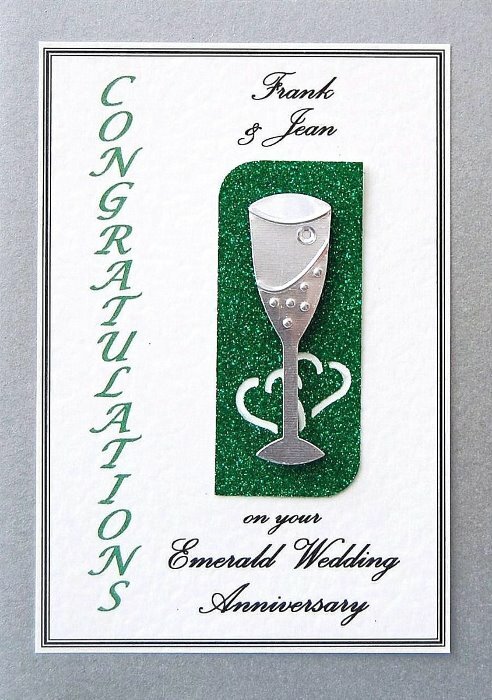 Silver, Pearl, Ruby, Golden, Emerald and Diamond. 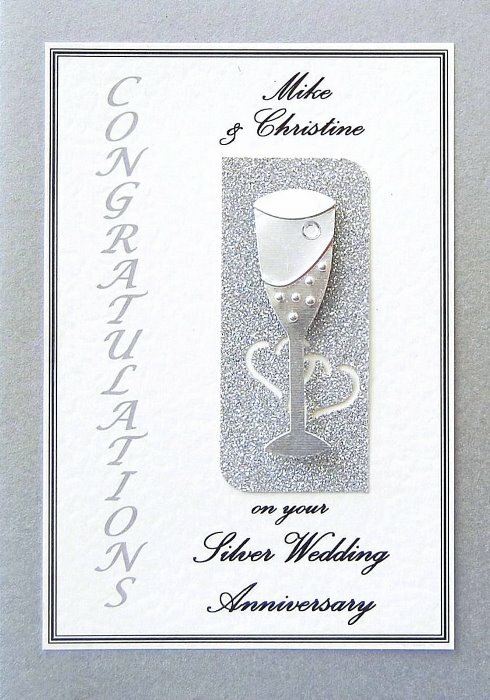 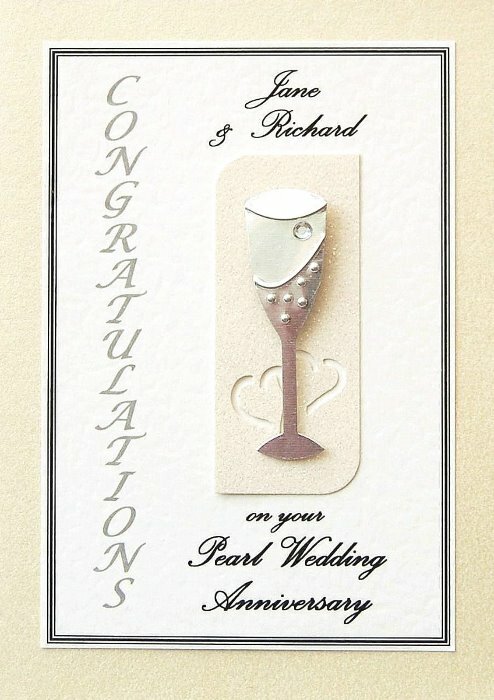 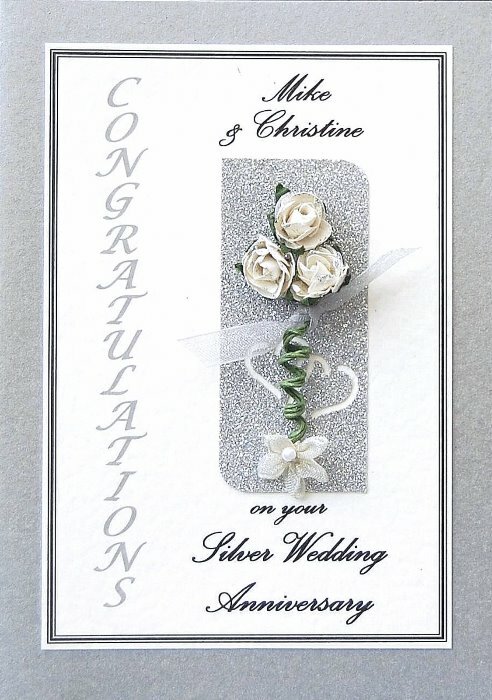 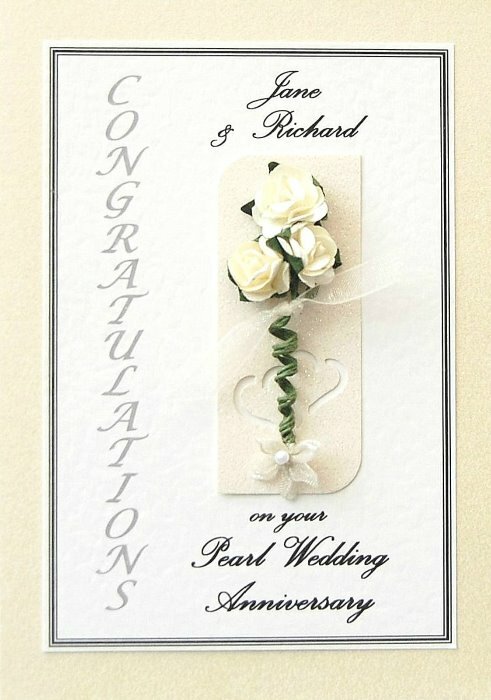 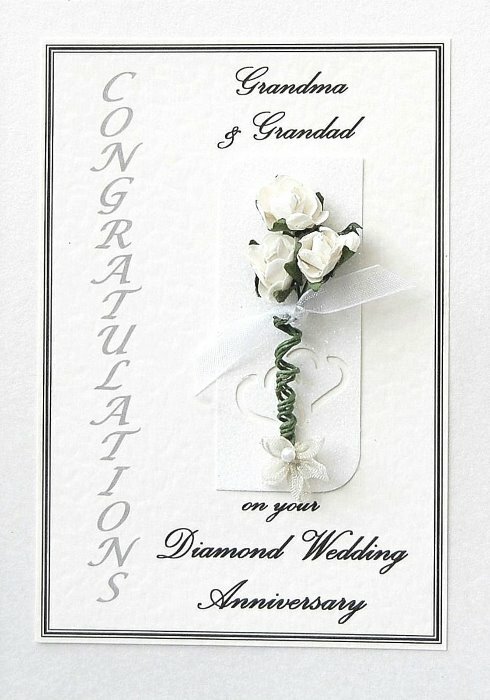 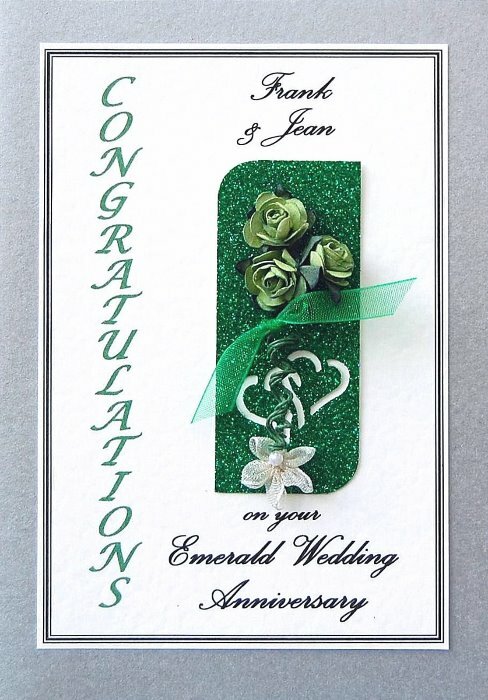 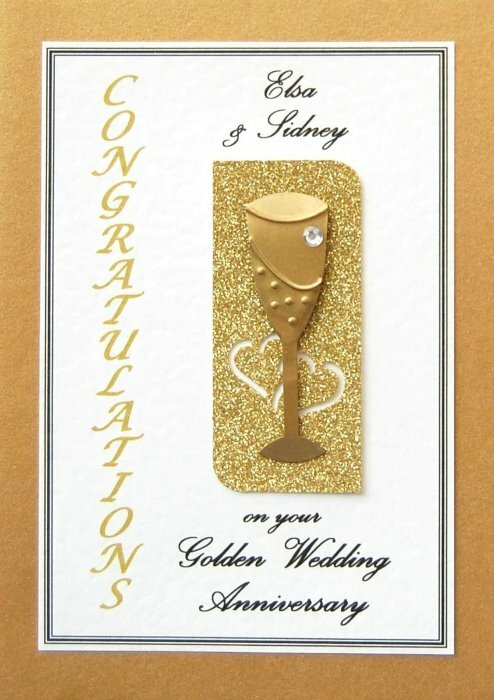 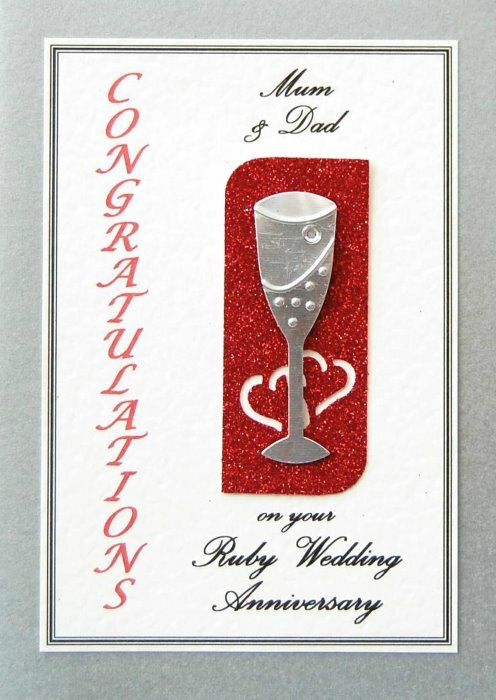 Cards are 15cm x 10.5cm with a pearlised finish on which is mounted the personalised ivory hammered card, this is decorated with a coloured glitter card and the motif of your choice. 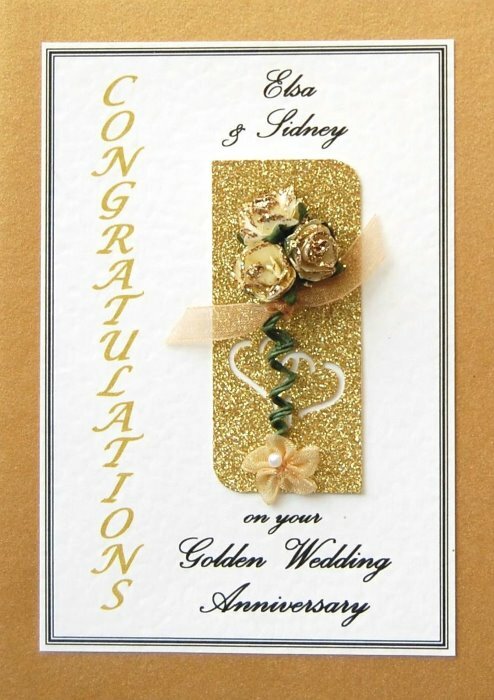 Personalising Details: Please give couple's name. 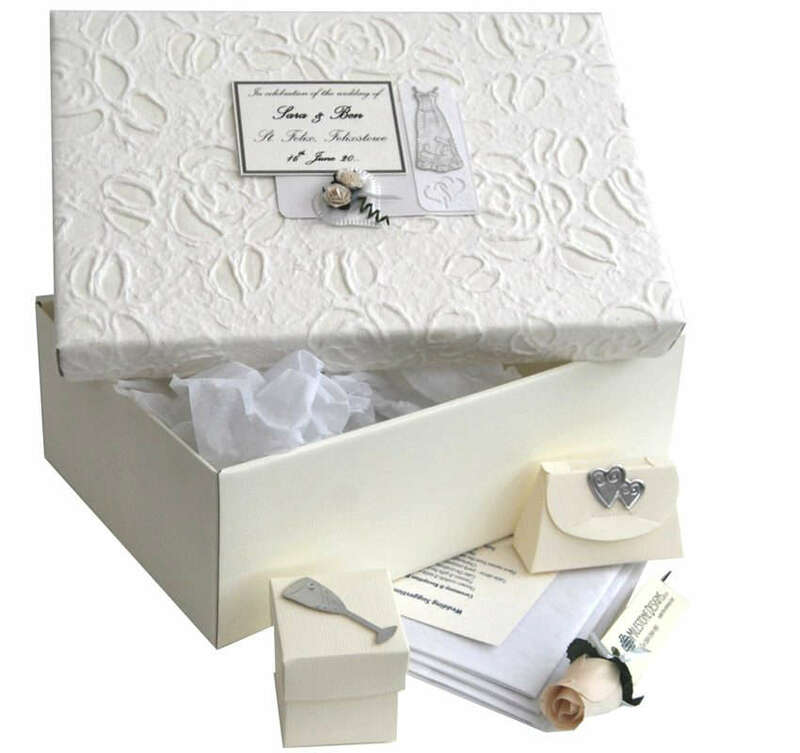 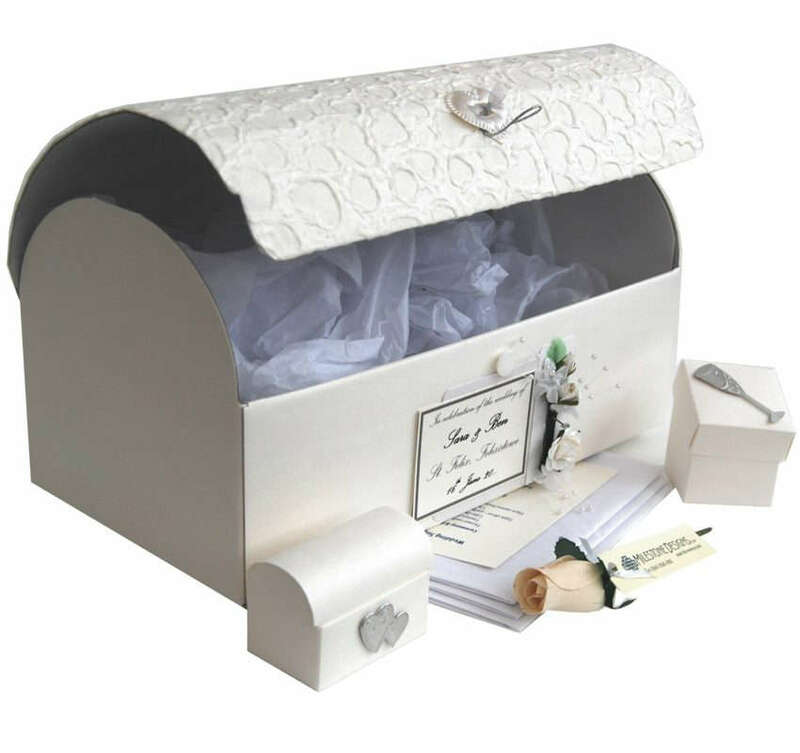 Keepsakes for all occasions - make the memory last. 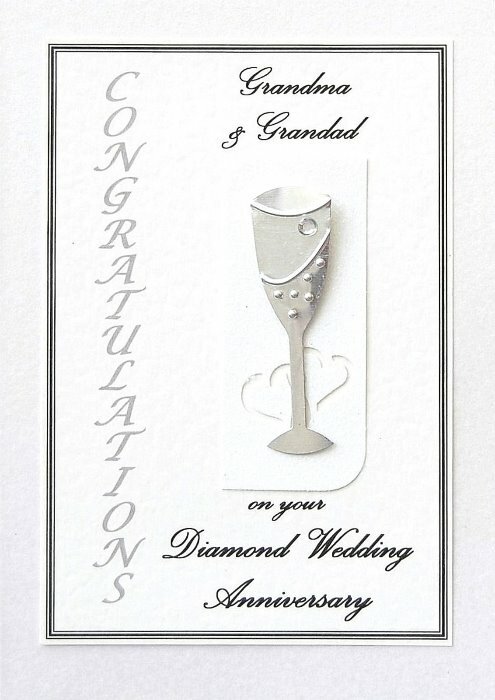 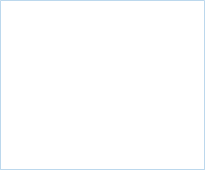 Address : 41 Gainsborough Road, Felixstowe, Suffolk, IP11 7HS, UK.